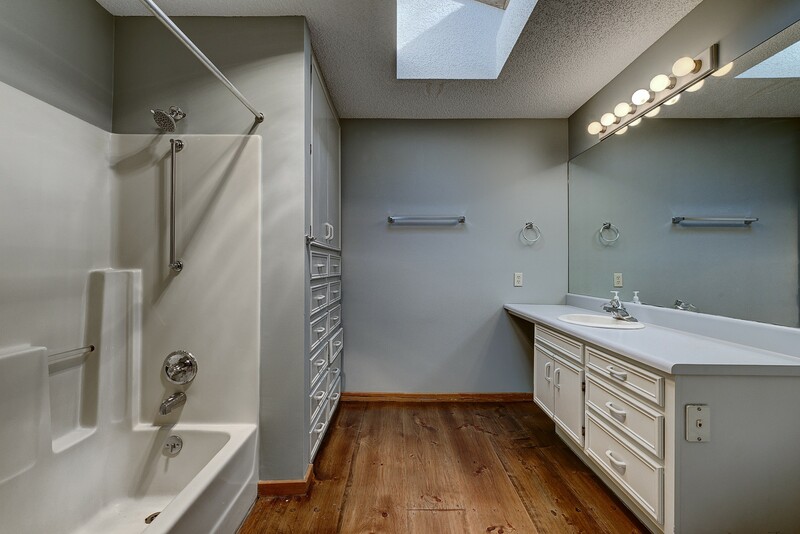 Settled on over 2 lush acres in the highly sought after Mirrormont neighborhood lies an amazing newly remodeled home. 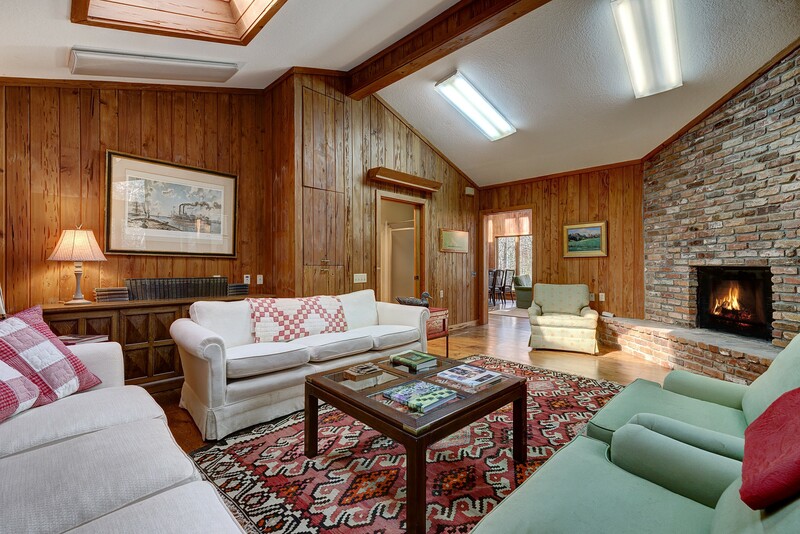 The house was situated perfectly for privacy, while being less than a 5 minute drive to downtown Highlands. 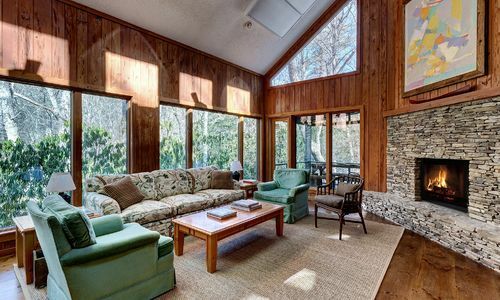 This mountain contemporary home has a wonderful open feel. 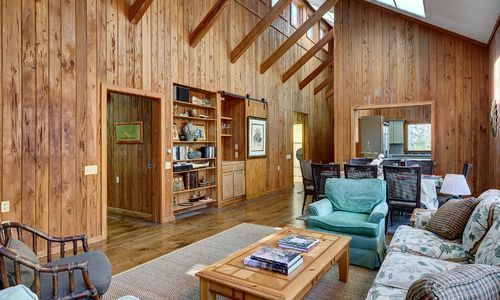 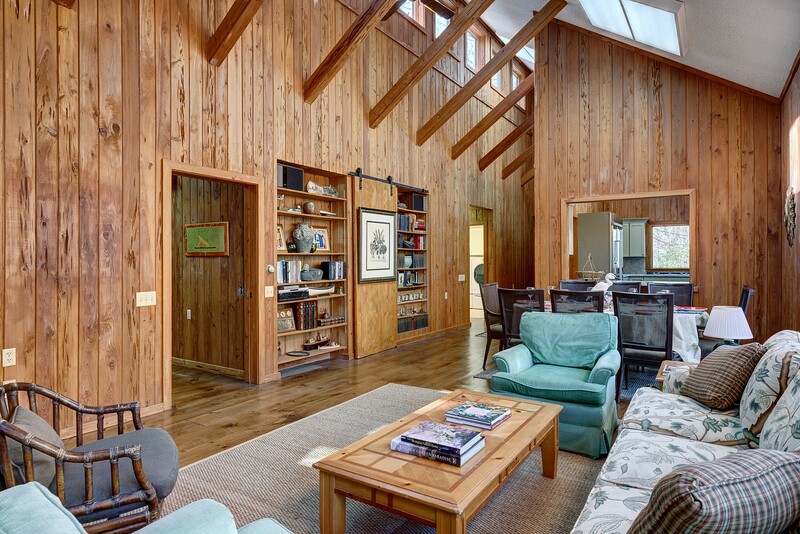 Cathedral ceilings with rich wood beams add to the architecture and design, while the pecky cypress walls in the main living area and the large family room add to rustic warmth of the home. 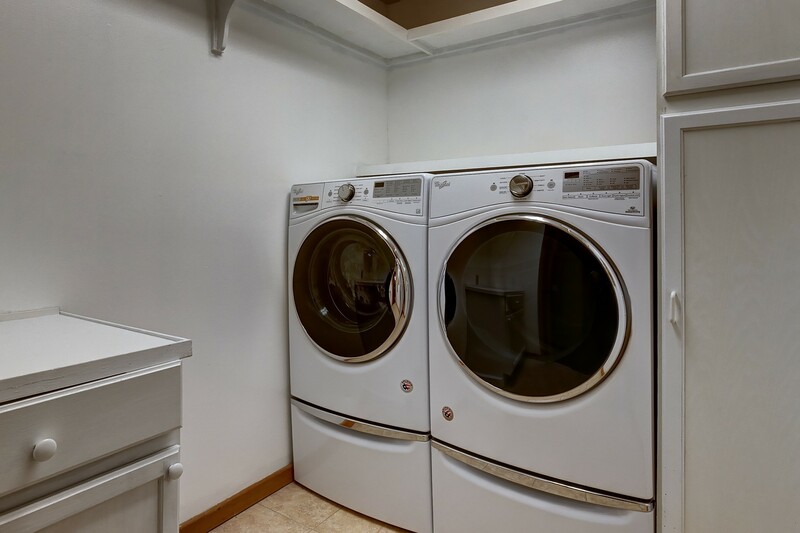 The main living area has an open flow, from the brand-new gourmet kitchen with stainless-steel KitchenAid appliances, new cabinetry and granite counter tops to the window lined dining and living room. 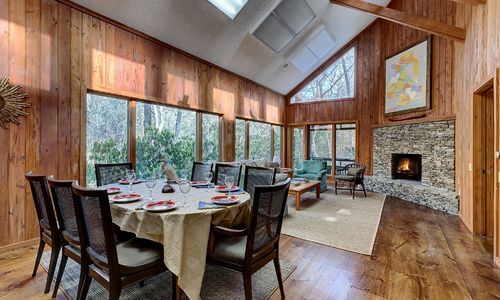 Enhanced with gorgeous hardwood flooring and a large stacked-stone fireplace, this is a spectacular area for entertaining guests. 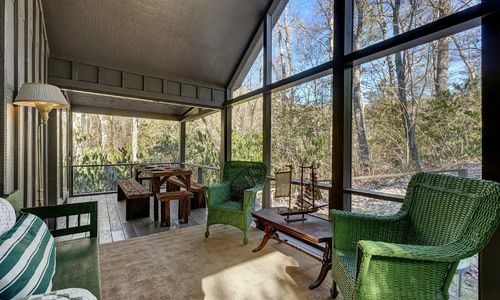 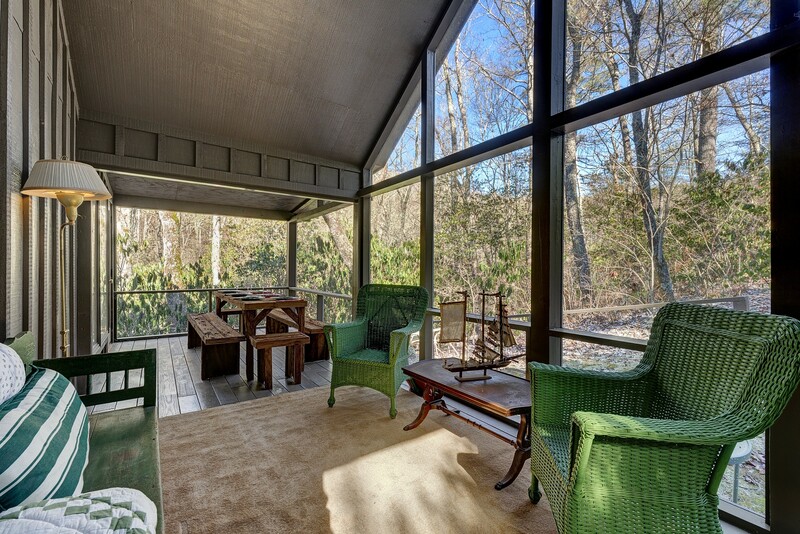 Open the large glass door to the screened in porch that is perfect for outside dining or listening to the sounds of nature. 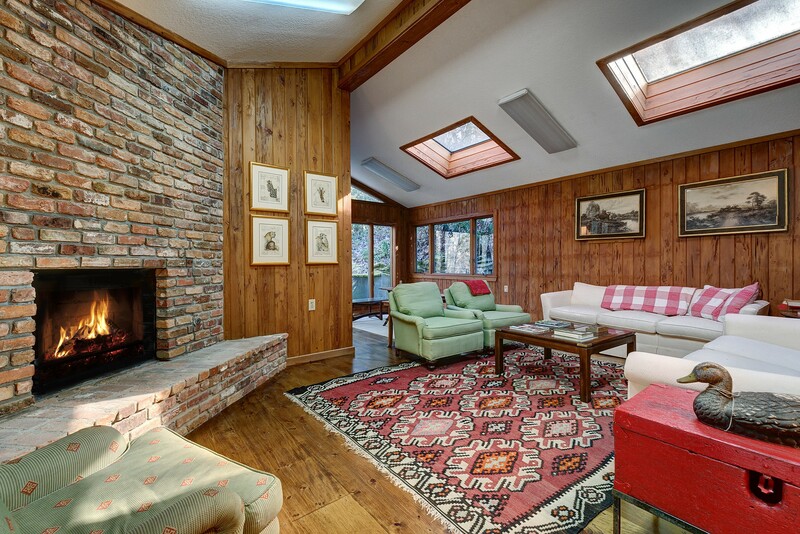 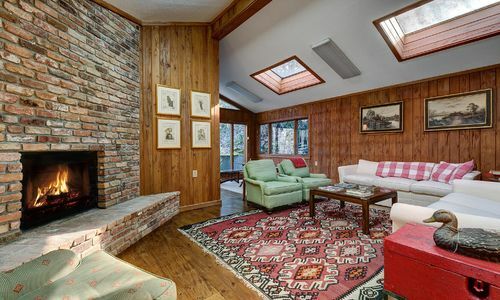 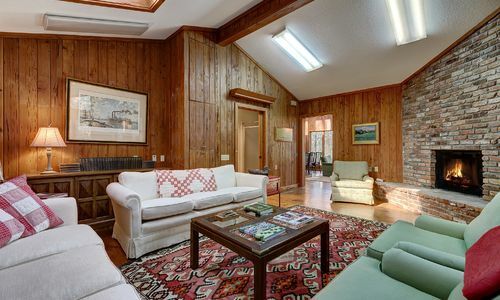 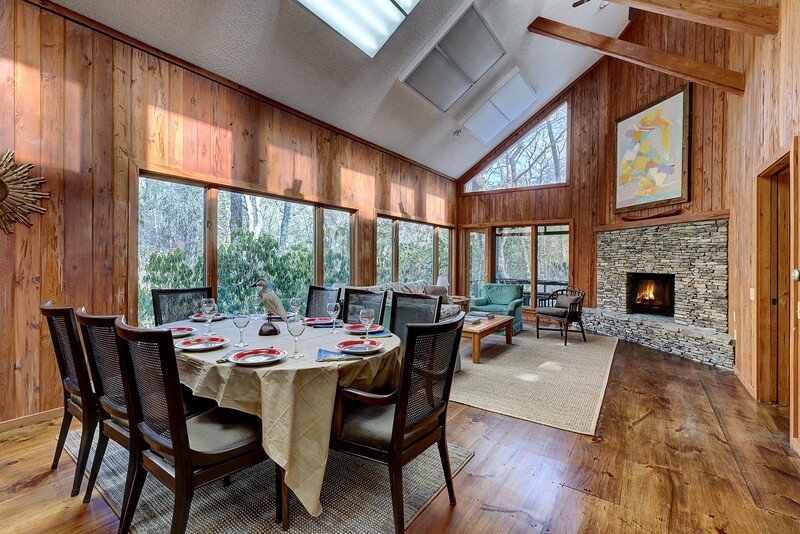 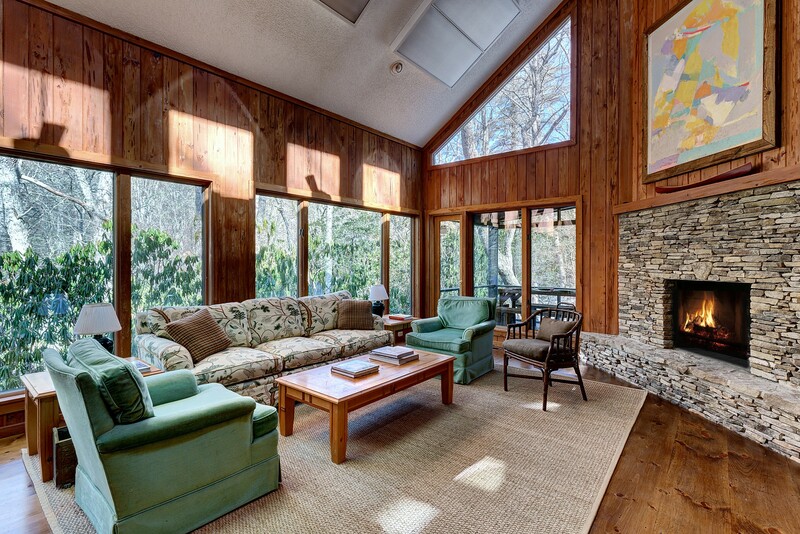 The main level also has a spacious den with a second fireplace as its focal point. 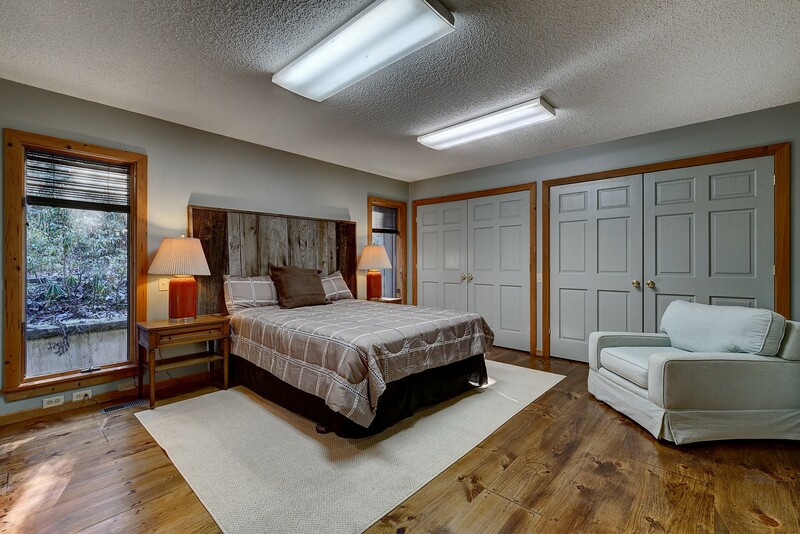 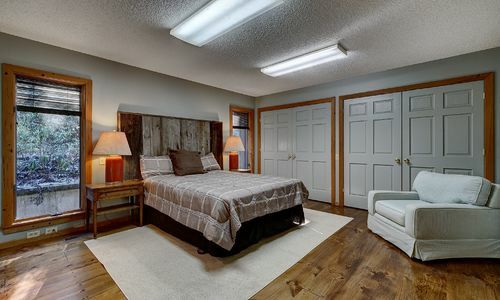 This room is the perfect gathering spot for a relaxing family night, games or a movie. 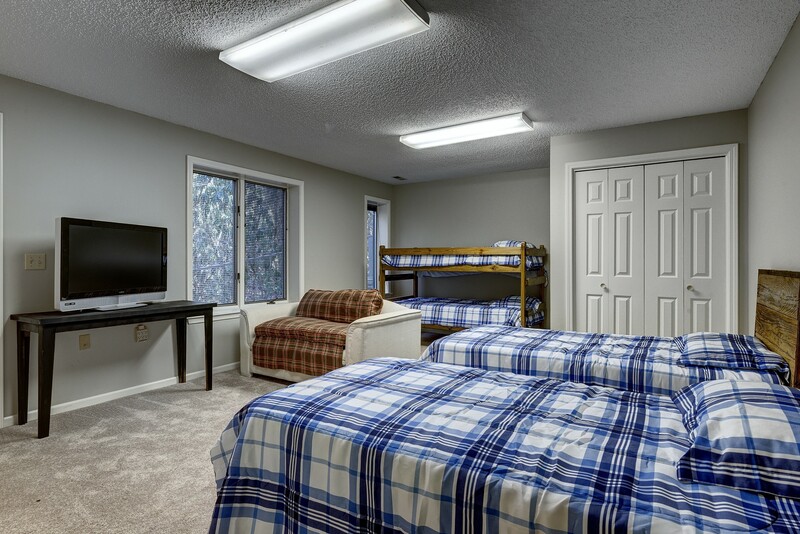 Skylights add to the brightness of the room and there is also access to the deck. 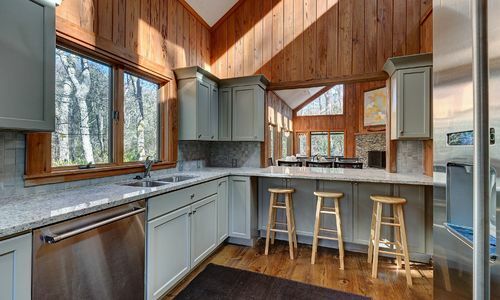 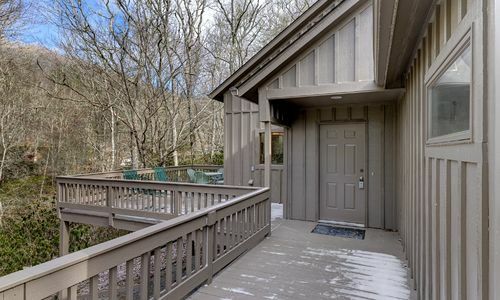 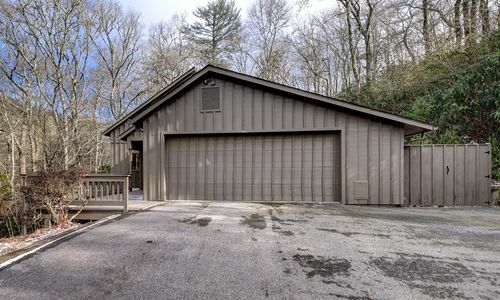 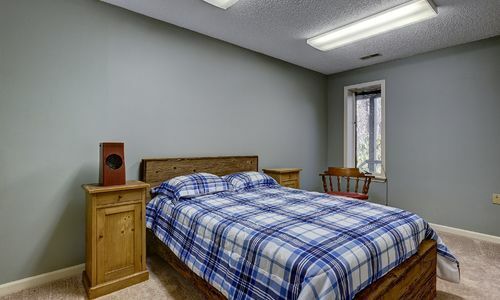 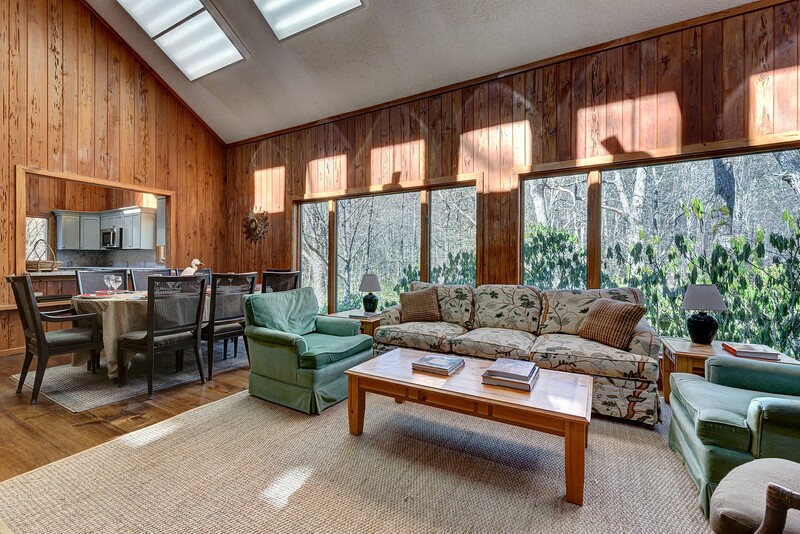 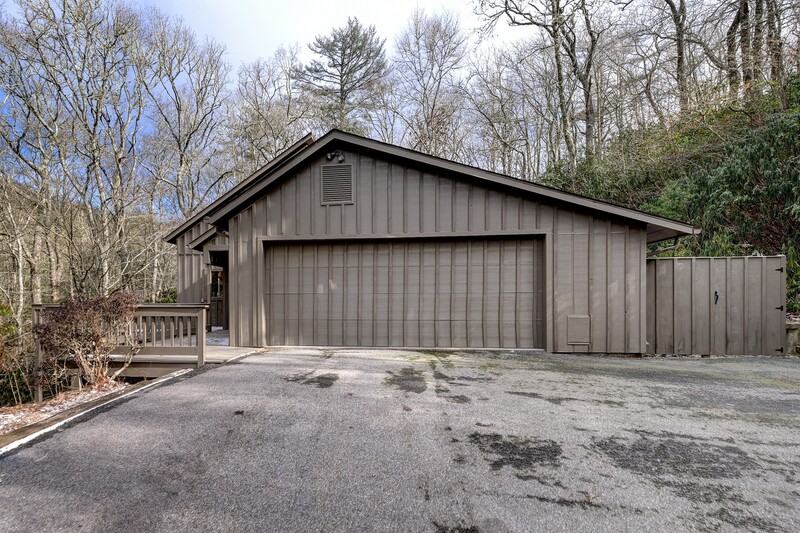 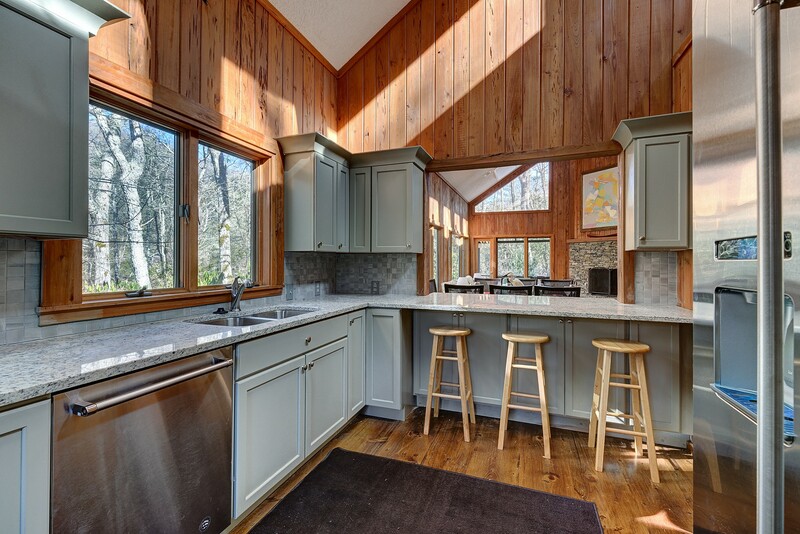 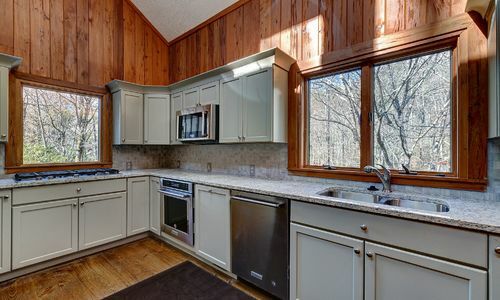 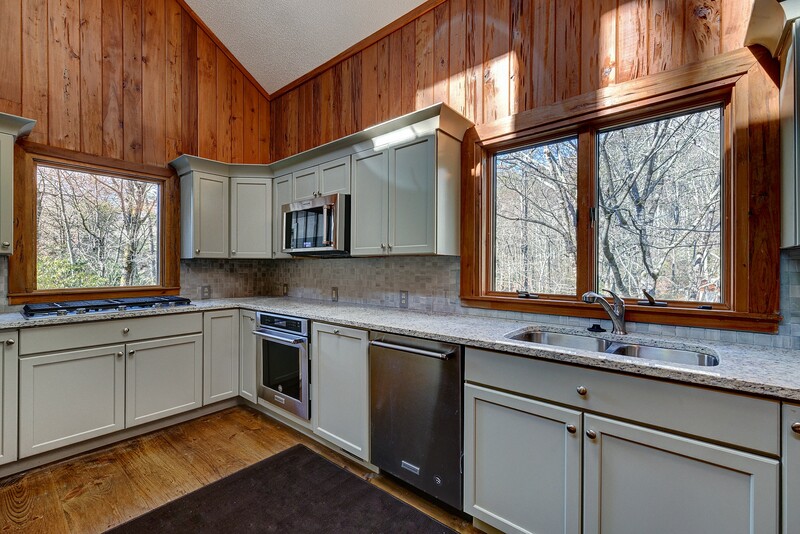 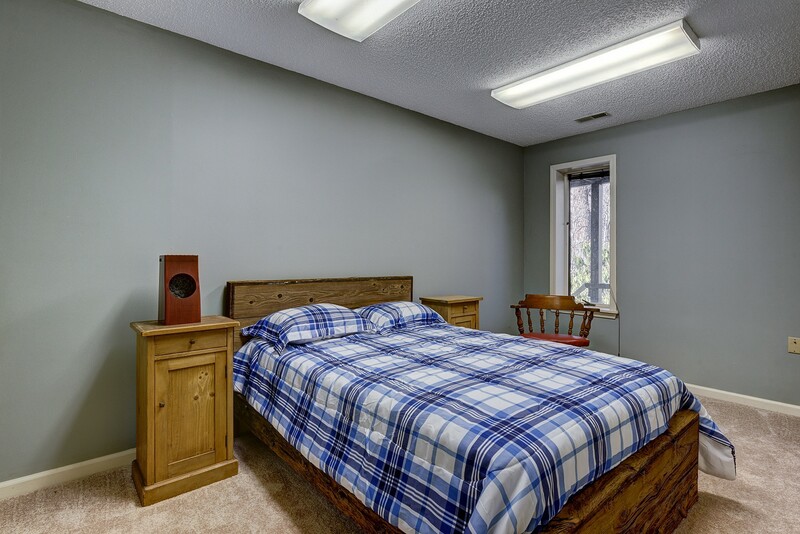 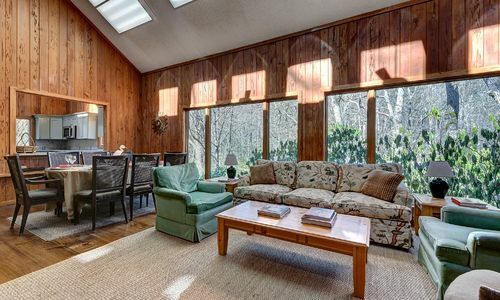 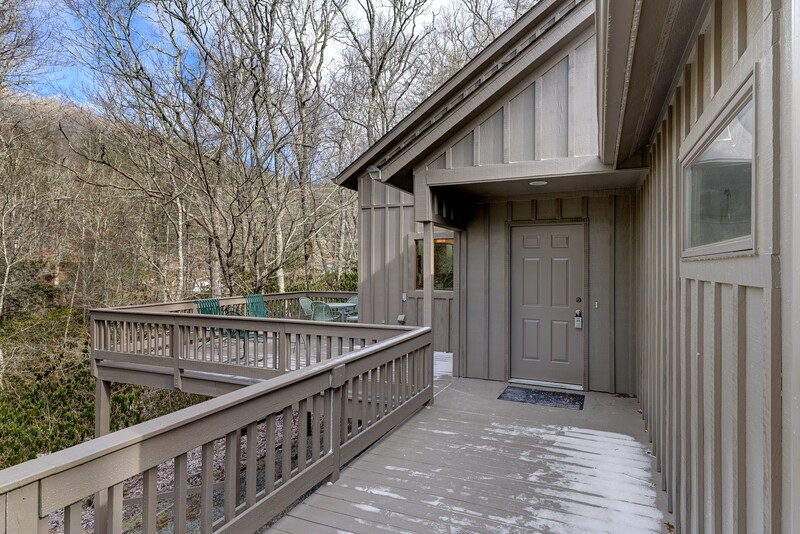 The master on the main level is spacious and is graced with hardwood flooring throughout. 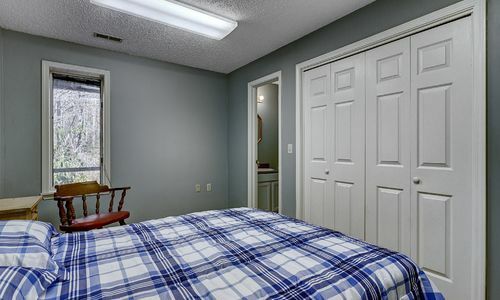 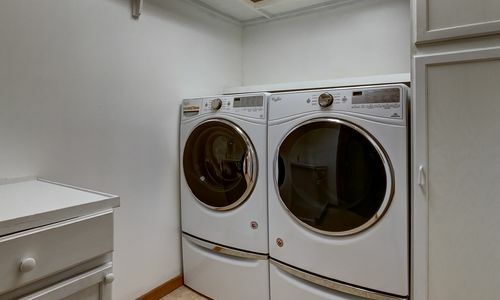 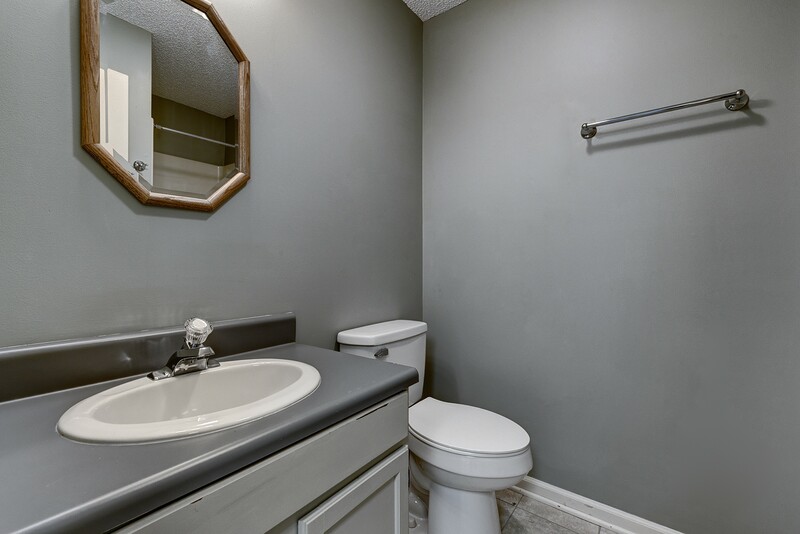 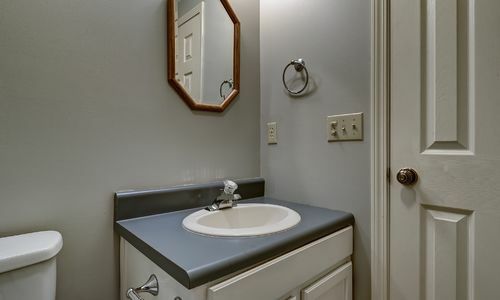 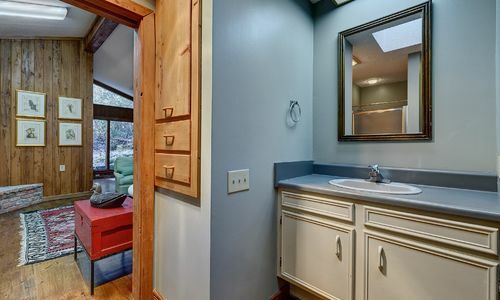 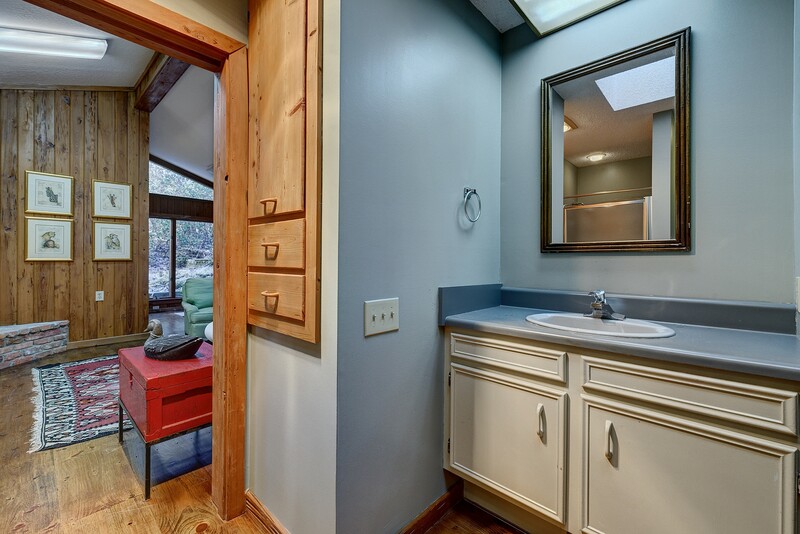 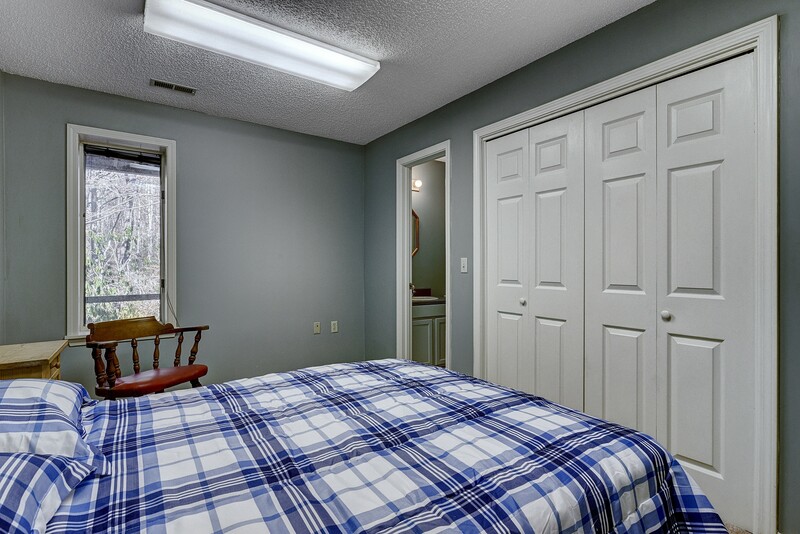 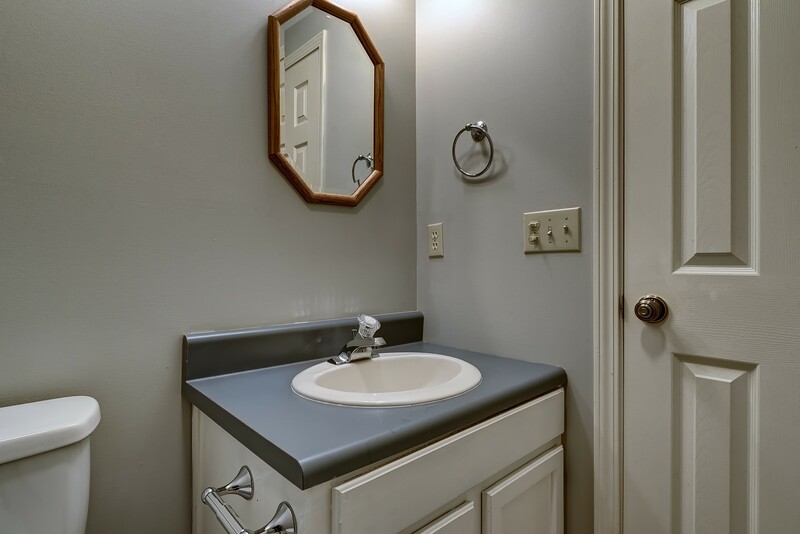 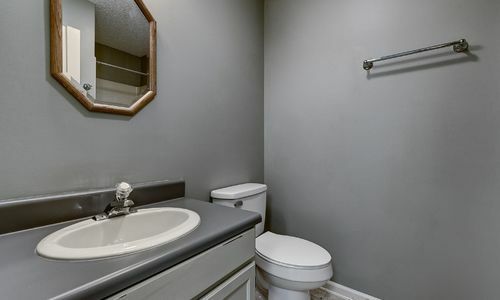 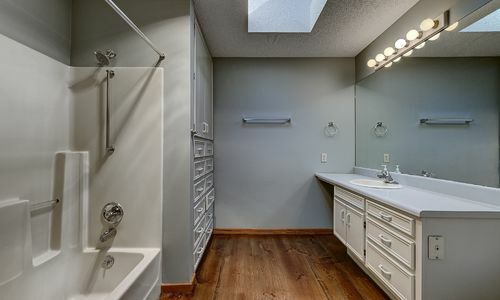 There is plenty of closet space and extra storage in both bathrooms. 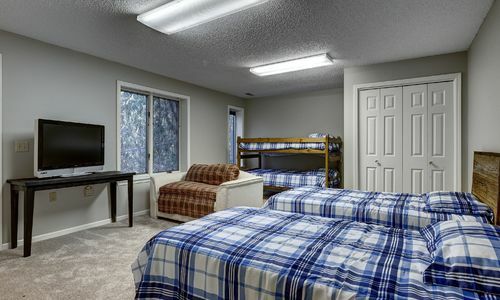 The lower level has two gracious guest suites and offers family and friends some privacy while visiting.